Welcare in East Surrey hosted a Lent Lunch in early April, raising £60 for Welcare. Staff provided guests with a choice of three delicious home-made soups, fresh bread and fruit. 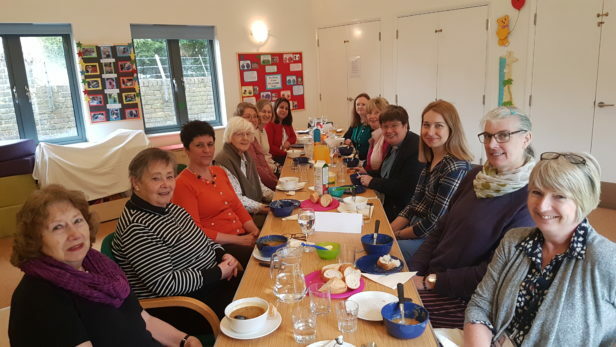 Over the meal the Venerable Moira Astin – Archdeacon of Reigate, and Welcare Trustee – led the group in a Lent reflection and challenged us to think about what characteristics we should be clothing ourselves with rather than focussing on giving things up. We were delighted that within the 13 attendees we had representatives from across East Surrey – from Redhill, Caterham, Newdigate and Smallfield. If you would like to contribute to our Lent efforts, register your interest here to receive a Welcare Lent Lunch pack, or donate below.